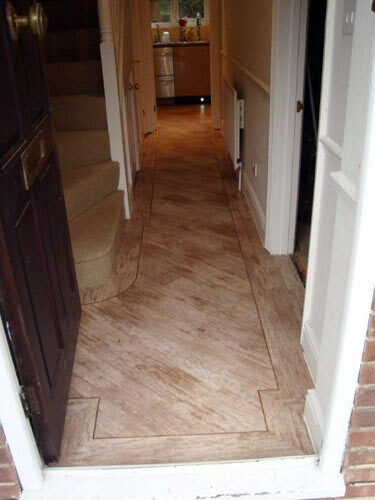 Karndean is a vinyl tile or plank which is designed to look and feel like natural flooring materials without any of the practical drawbacks. 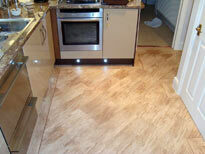 Karndean offers significant advantages over other floor coverings in terms of design capability, maintenance and cost. The only limitations are your imagination. 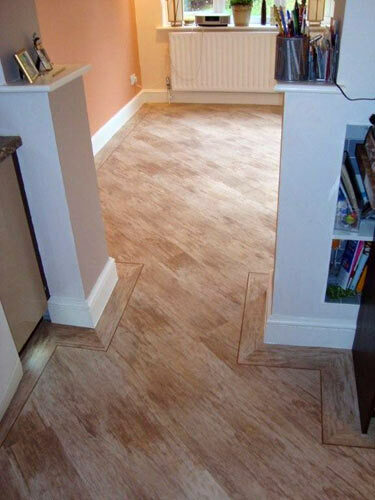 Karndean flooring is much warmer under foot than most natural flooring products, it is more versatile and is suitable for any room in your house, even in kitchens and bathrooms where natural products can be affected by water spillages. Karndean is hygienic, extremely durable and individual with over 100 standard products and a vast array of design components so you can create a truly individual floor.